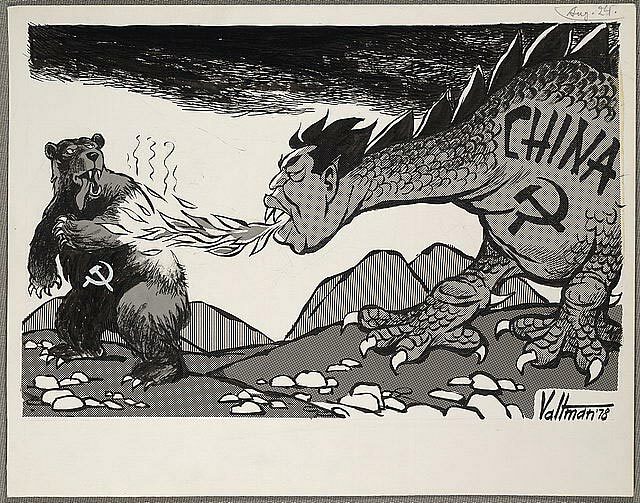 Lily of St. Leonards Lily of St. Leonards: Better to be a dragon than a bear : the Chinese Russian relationship. Interesting essay; my primary disagreement is conflating ‘freedom’ with ‘democracy’—they are separate concepts. Taylor, A.J.P. English History 1914–1945. Oxford: OUP, 1965. 1–3. Print. Freedom is not synonymous with democracy. Across the West, governments mandate what minimum wage an employer pays his least skilled employee, whom he can hire and fire, and which customers he must serve. How ‘free’ is modern Britain in other respects? Brooks, Libby. “Man arrested for Facebook posts about Syrian refugees in Scotland.” The Guardian. 16 Feb. 2017. Online. Slater, Ross and Jonathan Petre. “Police tell cafe owner: Stop showing Bible DVDs, or we will have to arrest you.” Mail on Sunday. 25 Sep. 2011. Online. Blake, Heidi. “Christian preacher arrested for saying homosexuality is a sin.” Daily Telegraph. 2 May 2010. Online. Etc. Etc. Etc, ad nauseam. John Locke wrote that society rested on the right to ‘life, liberty, and estate’ (Second Treatise on Government, ch. 7); Lockean American rebels modified this, Virginia’s George Mason adding ‘and pursueing and obtaining Happiness and Safety’, then Thomas Jefferson changing the formula to ‘Life, Liberty and the Pursuit of Happiness.’ If accepting these principles, do we enjoy them in modern Britain? Have we the right to life? Not if in the womb (8.4 million foetuses destroyed since the Abortion Act 1967 passed into law). So the State no longer executes people—but neither Locke nor Jefferson were death penalty opponents, and the US 5th Amendment states only that ‘No person shall … be deprived of life … without due process of law’ (and with 119 ‘suspects convicted of homicide after previous homicide conviction’ in England & Wales between 1980 and 2014–15, the death penalty demonstrably saves lives). Our right to defend our own lives is… hazy; the CPS states that we can use ‘such force as is reasonable in the circumstances’—but what appears ‘reasonable’ in a daytime CPS office or jury box is not necessarily what appears reasonable at 3 o’clock in the morning; and we know what happened to Tony Martin when he found three burglars half his age in his isolated farmhouse one night. Have we the right to liberty? As long as we voice only approved opinions and don’t offend arbitrarily defined protected castes. That’s not exactly liberty—no tyranny ever punished someone for agreeing with it. Have we the right to estate? If coppers can enter your house whenever they wish, demand you shut your own windows in your own house, then clearly not. Have we the right to pursue happiness? A plethora of ‘Affirmative Action’ laws ensures many straight, white males are prevented from exactly that. Our democracies, at this point, are little more than pantomime shows, political parties across the West increasingly resembling a Uniparty, all agreeing with each other on basic tenets (EU, immigration, LGBT+ issues, RKBA, CP, etc. ), feathering their own nests, and ignoring those who vote for them. Addendum: are you up to date with Russian population figures? According to World Bank figures, in 1960, Russia’s fertility rate was a reasonable 2.52 births per woman; it has declined since then, reaching a disturbingly low 1.157 births per woman in 1999; but since that nadir, Russia has seen some recovery, rising to 1.75 births per woman in both 2014 and 2015. Still below replacement rate, but it is recovering. In comparison, the UK had a healthy birth rate of 2.93 in 1964 and a nadir of 1.63 in 2002; there has been some recovery to 1.92 in 2012 but it has since declined again to 1.81 in 2015. Of course, the figures from neither country tell the complete story: e.g. how many of those (below replacement rate) births are to dysfunctional single mothers or immigrants? According to the ONS, ‘[o]ver a quarter (28.2%) of live births in 2016 were to mothers born outside the UK, the highest level on record’. Almost 16% were born to single mothers and 32% to unwed couples. And while the ONS states that ‘Amelia and Oliver were the most popular first names given to babies born in England and Wales in 2015’, combining the three given variations of Mohammed put this name in first place, 97 ahead of Oliver. Pace Wordsworth: Bliss was it in that dusk to be old, But to be dead was very heaven!